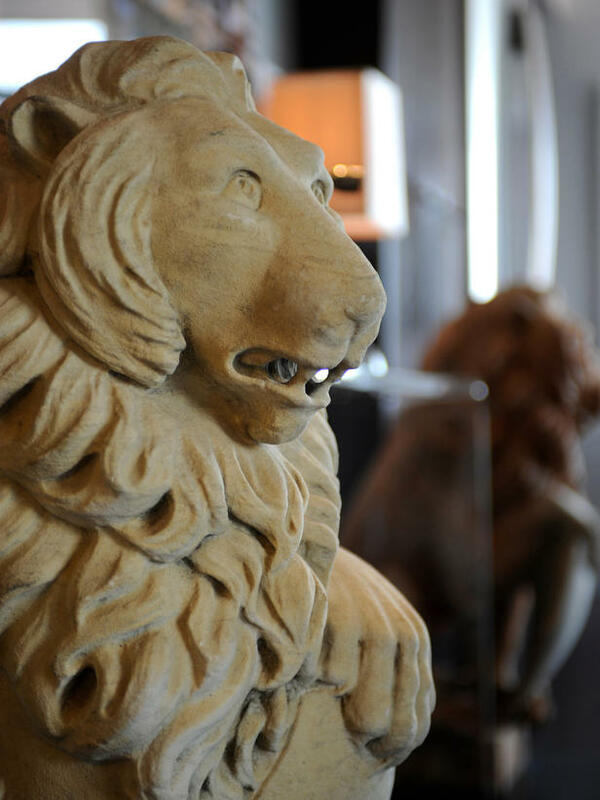 A welcoming front entry pairs antiques and vintage finds with modern accents to reflect the city's own juxtaposition of old and new. Subtlety had no place in the design of a luxury apartment with views as grand as the city itself. "Right from the start I wanted you to have a visual impact," says interior designer Vern Yip. 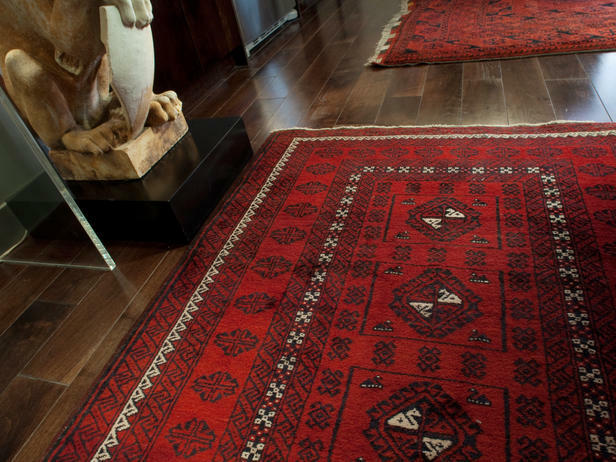 Antique Peruvian runners purchased at ABC Carpet and Home, an iconic rug and design store located in New York's Flatiron District, lend an air of elegance to the space. The hallway blends seamlessly into the kitchen, where a palette of dark wood and stainless steel lends sophistication to the work space. Contemporary floor lamps topped with silk shades place a spotlight on art pieces and brighten the entry space. "I selected those lamps because they are visually unobtrusive and have a base designed to slide underneath a piece of furniture," says Vern. 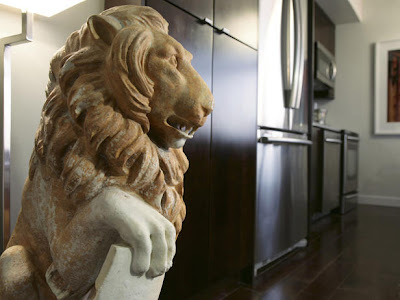 "For that reason, I had a pair of custom made bases for the lions to sit on, with slots to accommodate the bases of the floor lamps."